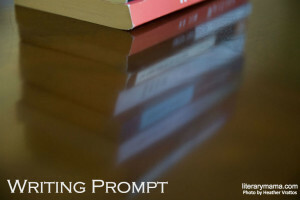 For each issue of Literary Mama, Literary Reflections shares a writing prompt, inviting our readers to respond. Our editors provide feedback on the responses we receive, and we post our favorites on the blog. This month's writing prompt is inspired by Beth Winegarner's essay Birth Meridian.
. . . I was surprised to find I couldn't resist McCarthy's books during my pregnancy. Maybe it was because maternity is too often romanticized, dressed up in frills and bows, pink and white. At first, McCarthy's hypermasculine, bleakly violent stories seemed like a much-desired antidote to all that. Over time, I realized his books revealed something about maternity itself. Winegarner recounts a scene near the end of McCarthy's The Road in which a young protagonist must negotiate life without his parents. The novel initiates a series of discussions between Winegarner and her partner regarding who they want to care for their child in the event of a "personal apocalypse" of their own. Similarly, McCarthy's vivid description of an actual birth in his early novel Outer Dark prepares Winegarner for the event of her own delivery—including an unplanned trip to the hospital to be stitched up—in a way no pregnancy book did. McCarthy's fiction even proved helpful in the weeks following the birth of her daughter as Winegarner begins to understand that "a certain amount of steeliness was called for. A certain amount of scanning the grim horizon." Have you read a book that prepared you in unexpected ways for birth or parenting? Was it a book that on the surface had nothing to do with maternity, but nonetheless provided valuable insight? Or was the link to maternity clear, but the learning still surprising? Please tell us about the book and what made it relevant. Read Winegarner's essay and submit a 500-word response to this writing prompt by February 4, 2019, for feedback from our editors. Email it to LMreflections (at) literarymama (dot) com and note "January Prompt" in your subject line. Please do not attach the essay but paste the response in the body of the email.